In its latest marketing spiel, Ducati has now released a teaser video of its next Scrambler variant. Dubbed the Scrambler Hashtag, it is a take on the social marketing trend, with the idea being that it will be exclusively available online. Apt given the current consumer’s penchant for buying stuff online. 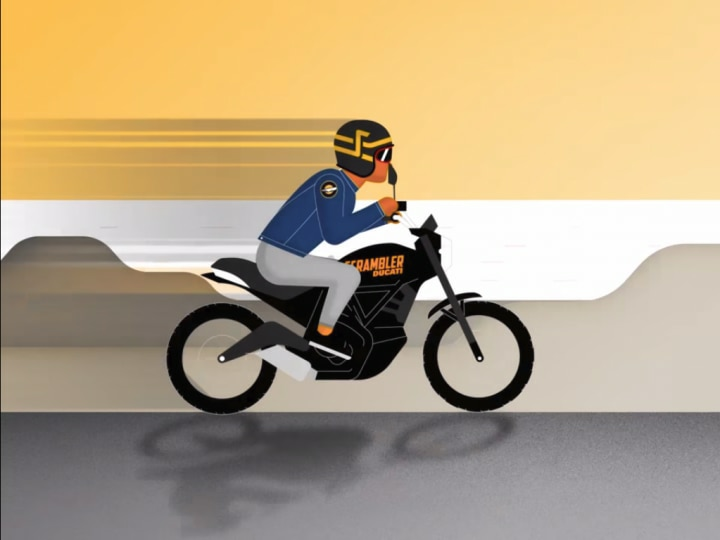 While the video says nothing about the bike except the name, it is safe to assume that the Hashtag will be based on the current Scrambler platform. Going by the video, it looks like the bike might get a black paintjob with orange graphics. The Scrambler platform includes a BS-IV compliant, 803cc, L-twin motor which makes 73PS at 8250rpm and 67Nm of torque at 5750rpm. It should carry the same trellis frame as the Scrambler Icon. The Icon comes with upside-down Kayaba 41mm Kayaba front forks and rear monoshock damper, both adjustable for preload and rebound damping. Braking is via a single 330mm front disc and a 245mm rear disc, with ABS is standard. We expect the Scrambler Hashtag to carry forward these mechanicals. The bike will be sold initially in Italy, France, Germany, Spain and Portugal, followed by other European countries. Whether we will get the bike in India remains unclear, though given that it is not a limited edition bike we’d vote on the positive.